Americas Best Value Inn Campus View Eau Claire offers the most value for your money when staying for business, pleasure, or just passing through. We offer clean spacious rooms with in-room Wi-Fi, free deluxe continental breakfast and free coffee in lobby. 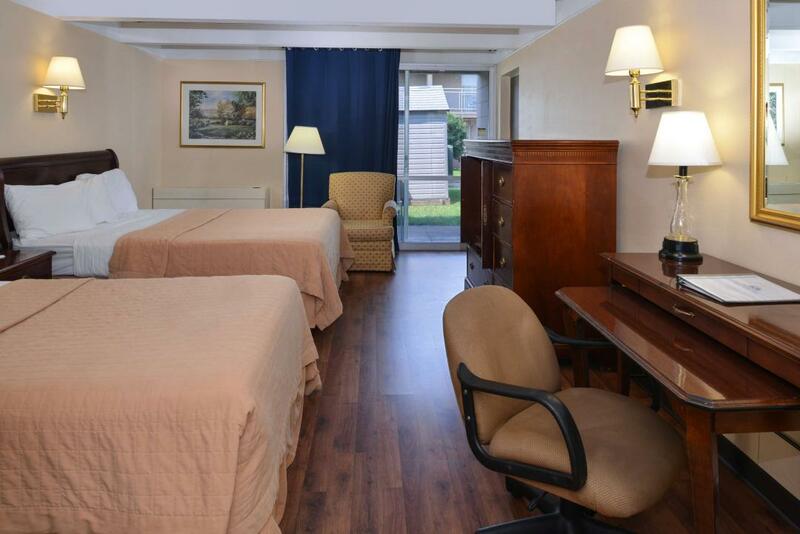 All guest rooms include mini-fridge, coffeemaker, hairdryer, cable TV, HBO, ESPN, desk with lamp, alarm clock radio, free local calls, and wake-up service. Take advantage of our extremely comfortable beds and relax while saving money year-round with our Kids Stay Free Policy (18 and under in parent's room). Rollaway beds are available for a nightly charge of $15. For those guests that are in town on longer term corporate assignments or business trips we also offer special rates, as well as direct billing options. For your convenience our hotel is completely smoke free. Pets are welcome in select rooms, restrictions and charges apply. 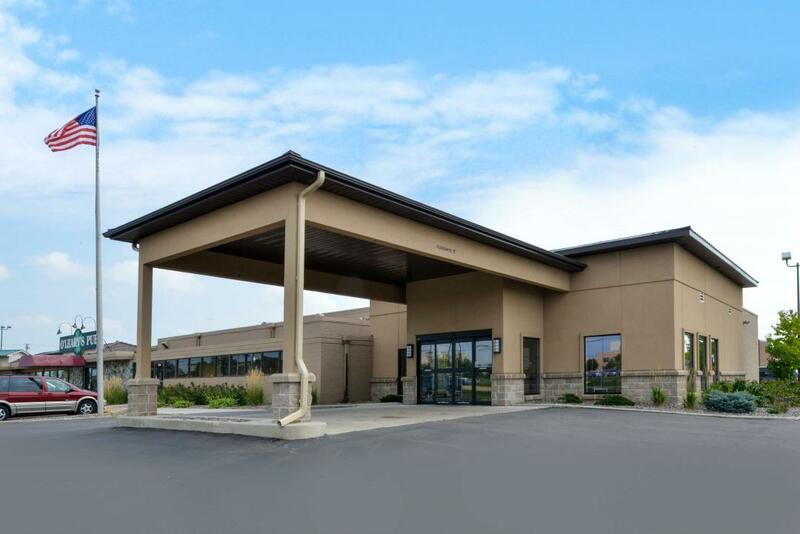 We are only 8 miles from Chippewa Valley Regional Airport and several local attractions such as the University of Wisconsin Eau Claire. 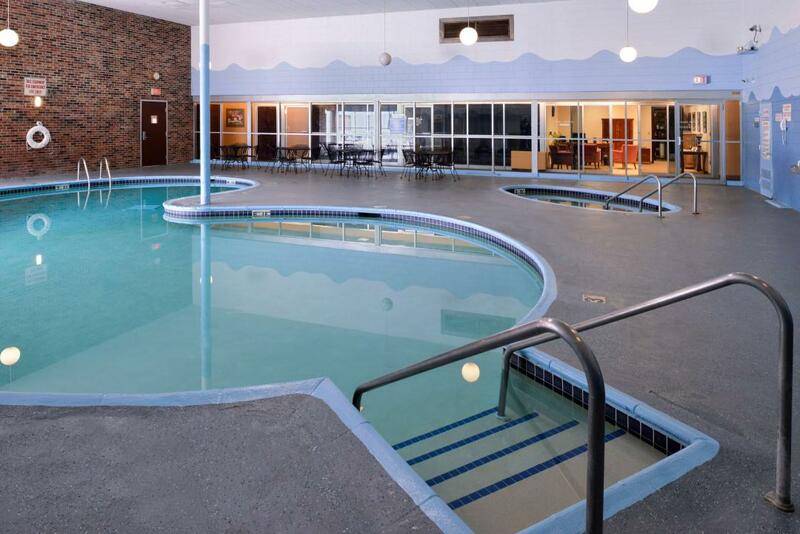 Enjoy a swim in one of our indoor or outdoor pools. We are conveniently located off US Highway 12 between Hendrickson Drive and Stein Boulevard. Americas Best Value Inn Campus View Eau Claire offers ideal accommodations and location whether you are in town for golfing, hiking, or to visit Chippewa Valley Museum, Chippewa Valley Symphony, Chaos Water Park, Action City, River Bend Vineyard and Winery, Northern Wisconsin State Fairgrounds, or Beaver Creek Reserve. At Americas Best Value Inn Campus View Eau Claire our goal is to provide our guests a great experience, not just a place to stay. We've Got You Covered from the time you hit the road until your head hits the pillow. Pets are only allowed in 2 double bed rooms and based on availability at a charge of $20.00 plus tax per room, per night. All pet rooms must be held on a valid credit card. Enjoy free daily continental breakfast and coffee available in the lobby. Looking for some quick grub or a nice dinner? Check out the on-property options as well as these nearby restaurants. Green Mill Restaurant, 0.6 mi. Randy's Family Restaurant, 0.7 mi. Mona Lisa's Restaurant, 2.3 mi. The Nucleus Cafe, 2.3 mi. Milwaukee Burger Company, 3 mi. Houligans Steak and Seafood Pub, 3.2 mi. Bug Eyed Betty's, 3.4 mi. Contact us at [email protected] or via 877-737-9275. Check out these Eau Claire attractions during your stay. Riverside Bike and Skate Inc., 1.7 mi. Hobbs Municipal Ice Center, 1.8 mi. Chippewa Valley Theatre Guild, 3 mi. Downtown Micon Cinema, 3.2 mi. Nine-Hole Disc Golf Course, 5.2 mi. Carmike Oakwood Mall 12, 5.3 mi. Wild Ridge Golf Course, 5.3 mi. Lower Chippewa River State Natural Area, 9.5 mi. Inland Diver's Supply, 13 mi. Bernard F. Willi Pool, 16.5 mi. Hoffman Hills State Recreation Area, 21.4 mi. Chippewa Valley Museum, 2.4 mi. Eau Claire Children's Museum, 3.4 mi. Chippewa Valley Symphony, 3.6 mi. Chaos Water Park, 5.6 mi. River Bend Vineyard and Winery, 13.5 mi. Northern Wisconsin State Fairgrounds, 14.9 mi. Jacob Leinenkugel Brewing Company, 16.3 mi. Irvine Park Zoo, 16.7 mi. Beaver Creek Reserve, 16.9 mi. Colfax Railroad Museum, Inc., 21.9 mi.